SGP recognizes that environmental degradation such as the destruction of ecosystems and the species that depend upon them, increasing levels of carbon dioxide and other greenhouse gases in our atmosphere, pollution of international waters, land degradation and the spread of persistent organic pollutants are life-threatening challenges that endanger us all. However, poor and vulnerable communities –SGP's primary stakeholders- are most at risk because they depend on access to natural resources for their livelihoods and often live in fragile ecosystems. 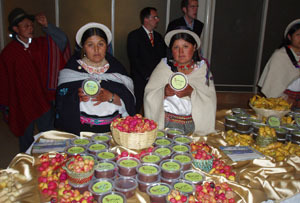 The programme provides grants of up to $50,000 directly to local communities including indigenous people, community-based organizations and other non-governmental groups for projects in Biodiversity, Climate Change Mitigation and Adaptation, Land Degradation and Sustainable Forest Management, International Waters and Chemicals. SGP has evolved significantly as a global programme over the past twenty years (1992-2012). 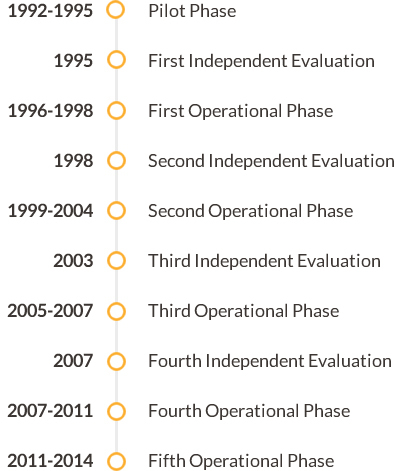 Its history can be traced through a pilot and five subsequent operational phases, which correspond to funding replenishments from the GEF, as a process of global and local adaptive management. During the pilot phase (1992–1996), the first SGP country programmes were established in 33 countries and hosting arrangements were made in UNDP Country Offices (CO) or nongovernmental national host institutions (NHI). The maximum grant amount was set at $US 50,000 – which has proven to be an appropriate ceiling for NGO and CBO funding over the next twenty years – with average grant amounts of well under $US 20,000 in these phases. The first operational phase of SGP was launched on 1 July 1996, with a two-year allocation of US$24 million. In the next two years, the programme expanded from 33 to 45 participating countries, and funded over 800 new projects. By the end of the period, SGP good practices as well as pitfalls to be avoided were encapsulated in a set of Operational Guidelines that covered administrative, financial, and operational matters and formed the basis for programme implementation since then, with regular review and revision as necessary. The favorable evaluation was instrumental in the GEF Council's approval of SGP's second operational phase. During this phase, SGP expanded its reach to 63 countries and adopted more focused and strategic approaches to enhance the impact and sustainability of its interventions. These approaches were conceptualized and deployed through global strategic, monitoring and evaluation, and resource mobilization frameworks, all of which were elaborated in consultation with NCs and NSCs. In response to ongoing demand, especially from small island developing states (SIDS) and least developed countries (LDC), SGP rapidly expanded to 101 countries in the third operational phase (2003-2007) and to 126 countries in the fourth operation phase (2007-2011). During this period, the programme improved its ability to reach the poor or poorest communities, which received 72 percent of SGP projects, a significant gain from the 57 percent in the early phases. SGP also made a concerted effort to increase grant making directly to CBOs by strengthening community organizational and institutional capacities to implement projects. As a result, 39 percent of grants were awarded to CBOs (compared to 27 percent initially), 60 percent to NGOs, and the remaining one percent to other CSOs. 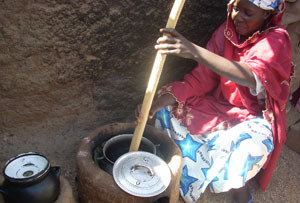 Although SGP nearly doubled in size and launched country programmes in many challenging country contexts, it continued to be a cost-effective instrument for the generation of global environmental and local benefits, a key finding of the Joint Evaluation of the Small Grants Programme (2008). Country programmes maintained transparent, credible, and accountable operations, with nearly 14,000 grants awarded, supervised, and monitored since 1992, in often quite difficult and demanding conditions. Currently, SGP is in its fifth operational Phase (2011-2014) and is leveraging the experiments, experiences, and achievements of the past two decades to further explore innovative and improved responses to the great variety of evolving needs at local and country levels. To date, the GEF Small Grants Programme has invested $450million and leveraged similar levels of co financing supporting over 14,500 community based projects in over 125 countries.